Excludes unpaid workers and self-employed.The count of covered workers exclude most named occupations (teachers, lawyers, judges, and various medical professions) as well as religious workers, who are not subject to the FLSA, but they're included in the count of the salaried workforce. Historical estimates of the share covered are benchmarked to EPI's 2015 estimate. 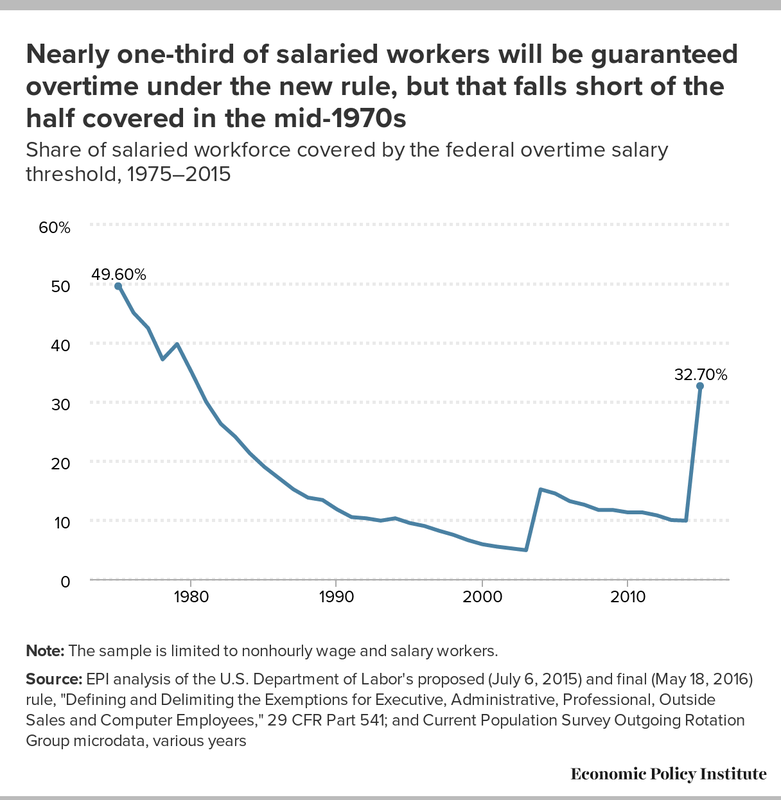 The estimates consider all the workers who directly benefit from the federal salary threshold increase alone, and do not include a subset of salaried California and New York workers already covered by state thresholds higher than the old federal threshold.